Endocrine disruptors are chemicals that interfere with the normal flow of hormones in living creatures. Of the almost 1 million chemicals released into our environment since the mid 1900’s, most are untested regarding their effect, and none have been tested in combination. We are living in a giant science experiment. 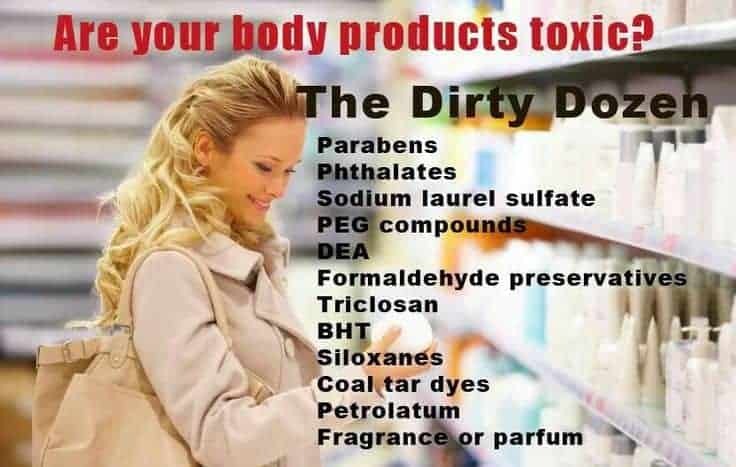 Cancer, autoimmune disease, infertility, autism & cardiometabolic disorders can be linked to these chemicals, although big industry and advertising would never allow the general public to know how toxic our surroundings have become. Personal care products are one of our worst exposures to these chemicals. There are over 10,000 chemicals in personal care products, and they are not even required to tell us which ones are in the products we buy. The average woman is exposed to over 500 chemicals a day, and most of these are topically applied and absorbed, or inhaled. In fact, a typical woman ingests up to 4 lbs. of lipstick in her lifetime. BPA (a synthetic estrogen originally. Used to harden plastic containers & line inside of metal cans, used to line CDs, DVDs, thermal paper for receipts, and other products). These are just a few of my favorites, but there are a lot of good products out there if you are saavy and check labels for chemical ingredients. Don’t be afraid to call a company yourself if you are unsure. Can you recommend a non toxic hair spray?